Thinking of heading to a Great Wolf Lodge in the upcoming months and looking for Great Wolf Lodge discount codes? Then you want to check out this great discount at Great Wolf Lodge from Groupon. We have been to the Great Wolf Lodge in Traverse City and Sandusky a bunch of times and always had a bunch of fun. 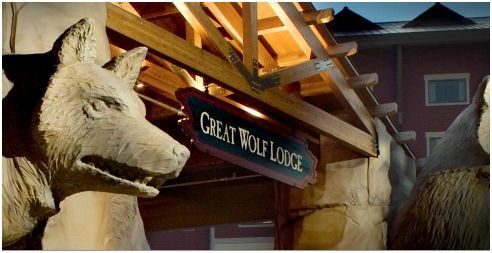 With this Great Wolf Offer at Groupon , you buy a voucher for the Great Wolf Lodge location of your choice. You get a voucher for a one or two night stay in varying room types from the Wolf Den to a Family Suite. This varies by location. All packages include water-park passes they also include resort credit!!! The prices and packages vary by the location you choose. Many of the packages are over 40% off! The travel window varies by package but if you can travel during this time this is an amazing deal. You will love this Great Wolf Lodge discount.